Rick Stein and his daughter Alex Walsh. WILMINGTON, Del. – A Delaware man's quirky obituary captured the attention of those on social media this week. "I wasn't sure how it'd be received," said Alex Walsh, the creative tour de force behind the unexpected eulogy. It depicts Walsh's father, Rick Stein, 71, as the quintessential man-of-mystery, who tried to escape death by a rare cancer by fleeing the hospital, commandeering a single-engine airplane and taking off over the Atlantic Ocean. The story, of course, is largely fictional. It intersperses kernels of truth among outlandish tales about Stein's life and hobbies. People have been sharing it on Facebook, partly because it's so different from typical obituaries. Rick Stein and his wife, Susan Stein, are shown. One thing is fact, Walsh said. 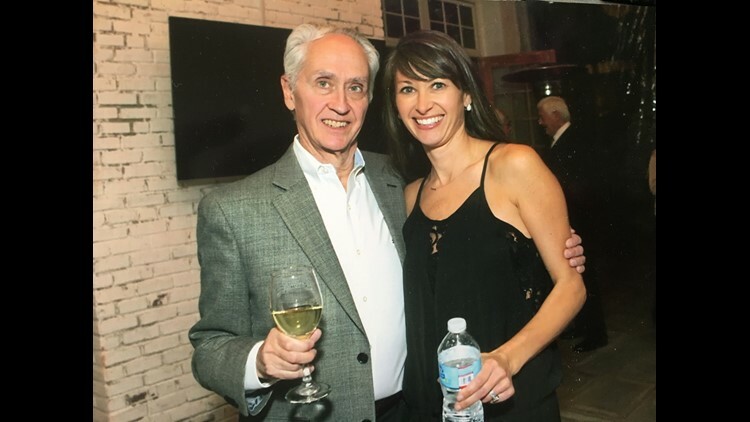 Stein, a businessman who with his brother Jim brought the Rehoboth, Delaware, family business Stuart Kingston Galleries to Wilmington, had recently been diagnosed with a rare, but aggressive form of cancer. After a summer of stomach aches and other gastrointestinal complaints, doctors diagnosed Stein with cholangiocarcinoma or bile duct cancer. He underwent surgery in the hope that removing the affected parts of his liver would allow the rest to grow and work normally, but instead, he worsened and died. "That part of it was, thank God, really quick," Walsh said. Stein's family was not prepared for him to die so soon, Walsh said. They didn't have any plans for his eulogy or funeral. 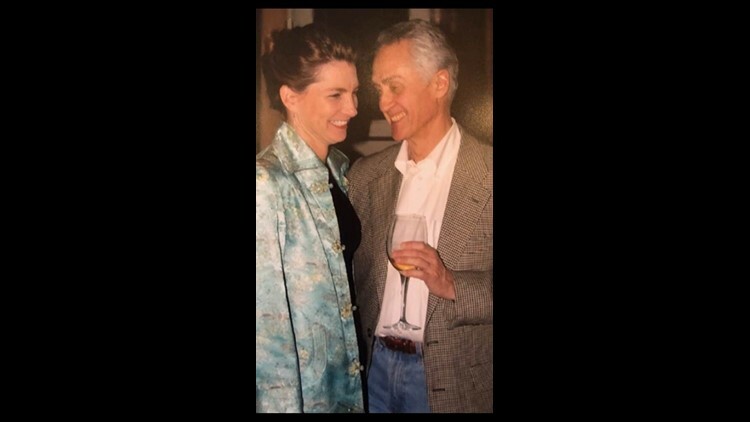 When Susan Stein, Rick's wife, asked Walsh to write the obituary, the bereaved daughter warned that it might be ... nontraditional. Rick Stein (left) and Jim Stein at Stuart Kingston Galleries in 1986. The obituary for her aunt Alicia Flaherty Stein, who died in 2013, was similarly off the wall. "Some believe she died of Disco Fever, however her battle with cancer for over four years was more likely the actual cause," it read. "Alicia wasn't a fan of cooking but made a mean reservation. If she could, she would offer her condolences to the soon-to-be-unemployed caterers she can no longer hire." Walsh was faced by a unique challenge in her father, she said in an email. "No words could ever do him justice," she said. "But we did our best to come close." She references his career more than once. In the obituary, Walsh expresses shock over her father's sudden flight, stating truthfully: “My dad couldn’t even fly a plane. He owned restaurants in Boulder, Colorado and knew every answer on Jeopardy. He did the New York Times crossword in pen." His brother Jim Stein also makes an appearance in the tale. 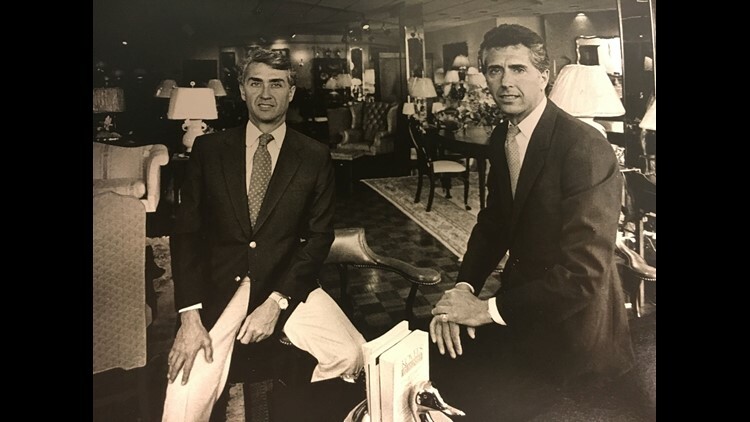 In the 1970s, Jim and Rick opened a second branch of the family business, Stuart Kingston, in Wilmington. They ran it together until Rick moved to Colorado, where he went into the restaurant business and met his wife, Susan. Jim's son Edward Stein helps run the business now and consulted with Walsh on the obituary. It probably makes the most sense to Stein's family and friends, Walsh admitted. "It’s full of inside jokes," Walsh said. "He had a great sense of humor. It was very dry." Given the sagacity of the obituary, one could almost be excused for wondering if the whole thing is true. After all, Walsh once worked for NBC News in Washington, D.C., and is a trained journalist. 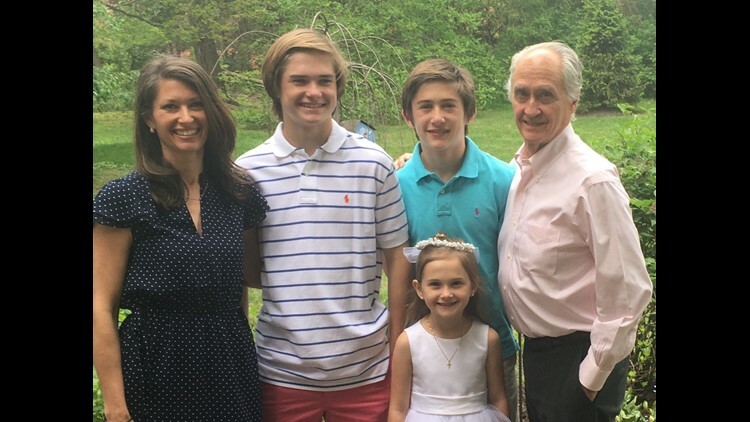 Rick Stein moved back to Delaware about four years ago to spend more time with his daughter and grandchildren. From left, Alex Walsh, Drake Walsh, Sam Walsh, Rick Stein and Evangeline Walsh in May 2017. But just to clear things up, no, Stein wasn't a YouTube sensation who had just signed a seven-figure deal with Netflix. But he did love to watch short videos with his 9-year-old granddaughter Evangeline. He moved back to Delaware four years ago to spend more time with Walsh and his three grandchildren. Stein also loved Rocky Mountain National Park, though he never worked there as a tour guide and certainly didn't have every berry, bush and tree memorized. Stein's favorite city was Rome, Walsh confirmed. But his wife Susan did not sneak out of the house wearing dark sunglasses and a fedora shortly after his disappearance and she is not in Italy waiting for him. Stein isn't secretly still alive. Instead, Susan is heartbroken, Walsh said. She and Rick Stein were very much in love. And in a way, it's easier to imagine the couple jet-setting around the globe than being separated by death. Which brings us to the end of Walsh's carefully-crafted obituary. "That is one story," she writes, after detailing Susan's cunning getaway. "Another story is that Rick never left the hospital and died peacefully with his wife and his daughter holding tightly to his hands." Rick Stein, 71, of Wilmington was reported missing and presumed dead on September 27, 2018, when investigators say the single-engine plane he was piloting, The Northrop, suddenly lost communication with air traffic control and disappeared over the Atlantic Ocean off the coast of Rehoboth Beach. Philadelphia police confirm Stein had been a patient at Thomas Jefferson University Hospital where he was being treated for a rare form of cancer. Hospital spokesman Walter Heisenberg says doctors from Stein's surgical team went to visit him on rounds when they discovered his room was empty. Security footage shows Stein leaving the building at approximately 3:30 Thursday afternoon, but then the video feed mysteriously cuts off. Authorities say they believe Stein took an Uber to the Philadelphia airport where they assume he somehow gained access to the aircraft. "The sea was angry that day," said NTSB lead investigator Greg Fields in a press conference. "We have no idea where Mr. Stein may be, but any hope for a rescue is unlikely." Stein's location isn't the only mystery. It seems no one in his life knew his exact occupation. His daughter, Alex Walsh of Wilmington appeared shocked by the news. "My dad couldn't even fly a plane. He owned restaurants in Boulder, Colorado and knew every answer on Jeopardy. He did the New York Times crossword in pen. I talked to him that day and he told me he was going out to get some grappa. All he ever wanted was a glass of grappa." Stein's brother, Jim echoed similar confusion. "Rick and I owned Stuart Kingston Galleries together. He was a jeweler and oriental rug dealer, not a pilot." Meanwhile, Missel Leddington of Charlottesville claimed her brother was a cartoonist and freelance television critic for the New Yorker. David Walsh, Stein's son-in-law, said he was certain Stein was a political satirist for the Huffington Post while grandsons Drake and Sam said they believed Stein wrote an internet sports column for ESPN covering Duke basketball, FC Barcelona soccer, the Denver Broncos and the Tour de France. Stein's granddaughter Evangeline claims he was a YouTube sensation who had just signed a seven-figure deal with Netflix. When told of his uncle's disappearance, Edward Stein said he was baffled since he believed Stein worked as a trail guide in Rocky Mountain National Park. "He took me on a hike up the Lily Peak Trail back in the 90s. He knew every berry, bush and tree on that trail." Nephew James Stein of Los Angeles claimed his uncle was an A&R consultant for Bad Boy records and ran a chain of legal recreational marijuana dispensaries in Colorado called Casablunta. Niece Courtney Stein, a former Hollywood agent, said her uncle had worked as a contributing writer for Seinfeld and Curb Your Enthusiasm and was currently consulting on a new series with Larry David. People who knew Stein have reported his occupation as everything from gourmet chef and sommelier to botanist, electrician, mechanic and even spy novelist. Police say the volume of contradictory information will make it nearly impossible to pinpoint Stein's exact location. In fact, the only person who might be able to answer the question, who is the real Rick Stein is his wife and constant companion for the past 14 years, Susan Stein. Detectives say they were unable to interview Mrs. Stein, however, neighbors say they witnessed her leaving the home the couple shared wearing dark sunglasses and a fedora, loading multiple suitcases into her car. FAA records show she purchased a pair of one-way tickets to Rome which was Mr. Stein's favorite city. An anonymous source with the airline reports the name used to book the other ticket was Juan Morefore DeRoad, which, according to the FBI, was an alias Stein used for many years. Another story is that Rick never left the hospital and died peacefully with his wife and his daughter holding tightly to his hands. You can choose which version you want to believe or share your own story about Rick with us at the Greenville Country Club on Friday, November 9, 2018, from 3 to 6 p.m.
For online condolences, please visit chandlerfuneralhome.com.